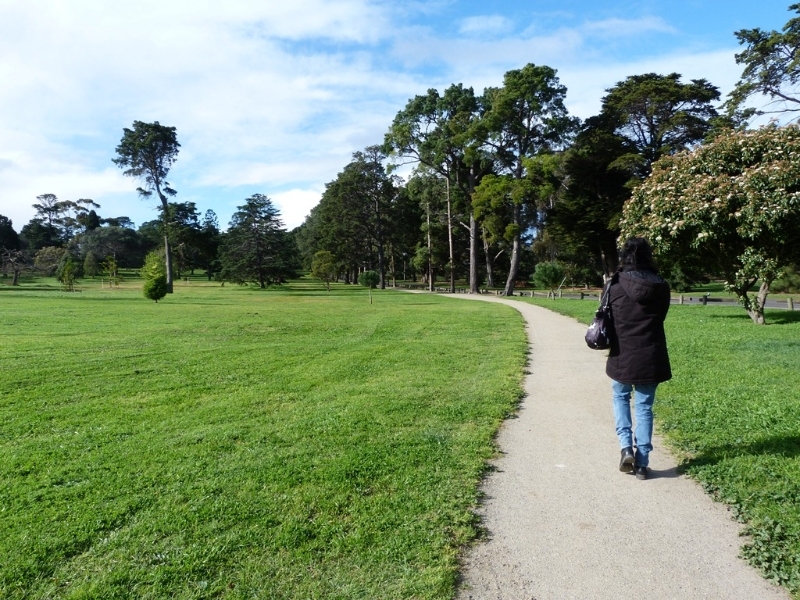 This easy walk starts and ends at Geelong's beautiful Botanic Gardens but also takes in Eastern Park's wonderful trees, open play areas and flying foxes. What was once an exposed site of 200 acres with bay frontage but little vegetation has been transformed over 150 years into the stunning destination so popular today. 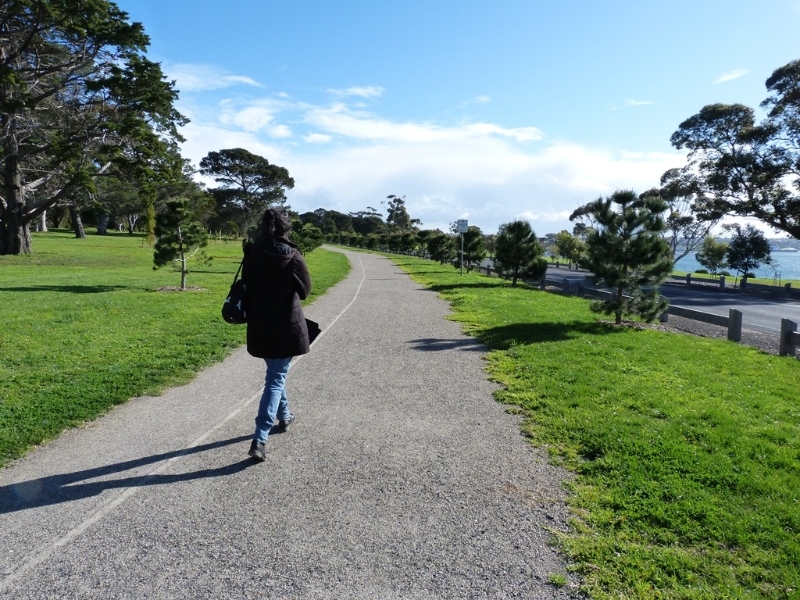 Starting at the Botanic Gardens, this walk follows Eastern Park's main circuit path - a smooth gravel track much like Melbourne's "Tan track" - used by locals for jogging and walking. From the entrance to the Gardens, head south along the gravel path on the left hand side of the road. Along the route there are countless open areas for play, or you could just rest under the shade of a tree and see how many varieties you can spot. 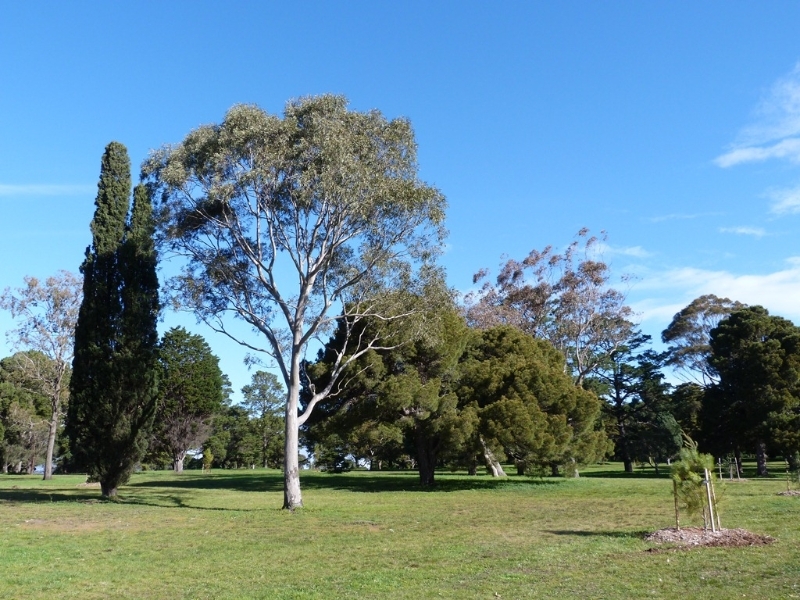 Trees in the Botanic Gardens and Eastern Park are some of the finest examples in Victoria; thirty-six are listed on the National Trust of Australia (Victoria) Register of Significant Trees. Along the way keep an eye out for the only grey-headed flying fox colony in Geelong. 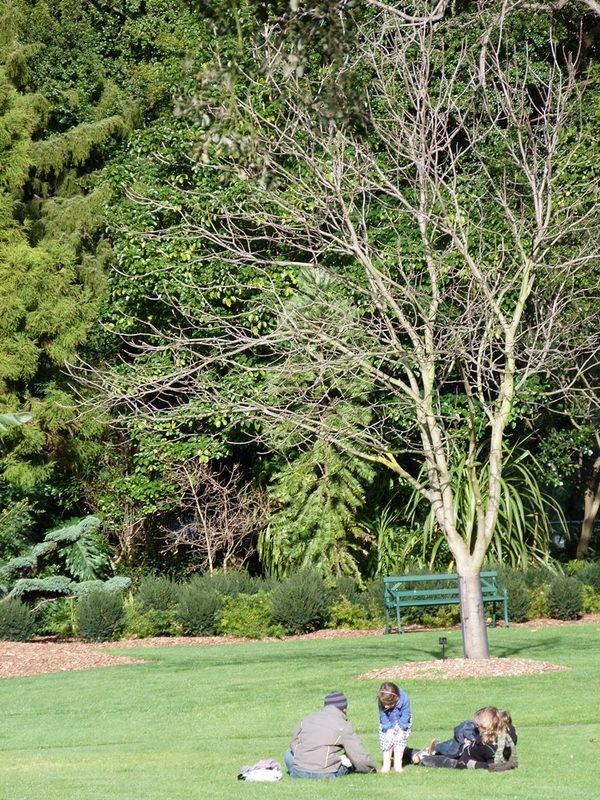 The colony roosts in the trees during the day and at night individuals or small groups leave the park to feed all over Greater Geelong. 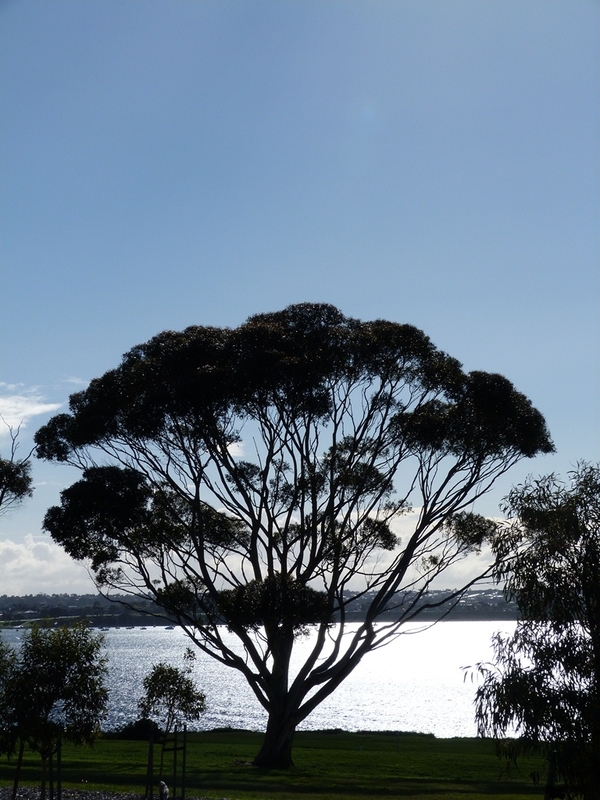 A little further on from the bat colony you are greeted by wonderful vistas of Corio Bay. At this point, the path curves to the left heading back in the direction of the Botanic Gardens. 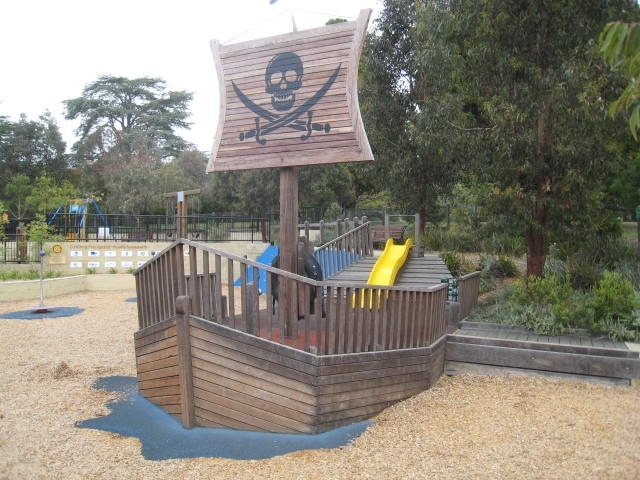 Before you reach the gardens you will pass by the Geelong Play Space on your left. The Play Space provides a facility enabling social interaction between children, including those with special needs. Facilities include BBQs, picnic tables and shaded structures are adjacent to the Play Space. 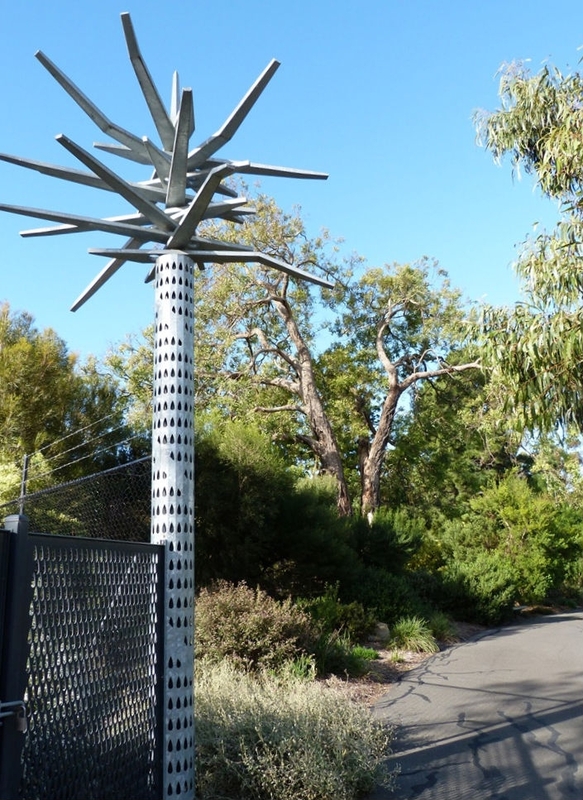 You'll then arrive back at the entrance to the Geelong Botanic Gardens. Entry is free. The walk includes a short loop of the Gardens, though you are welcome to find your own way around the gardens exploring the amazing range of plants on display. 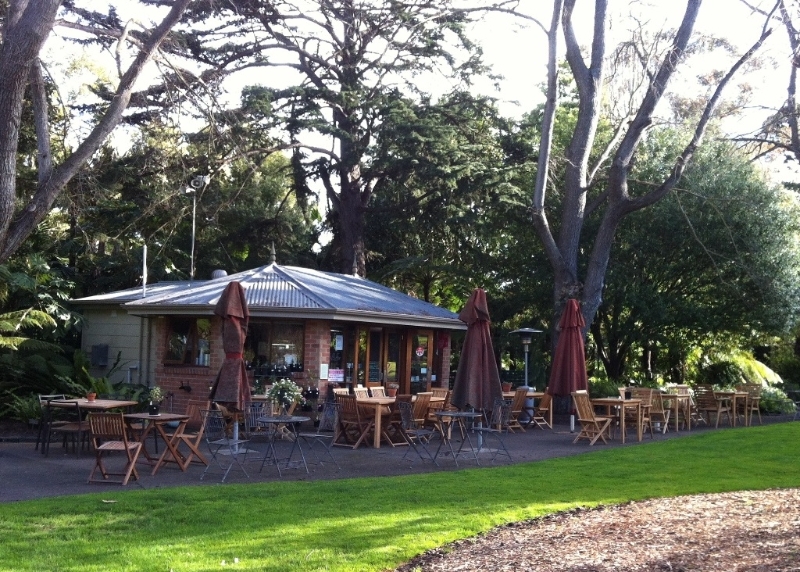 BBQ facilities and public toilets are located at the Geelong Play Space. From Geelong train station you can take bus number 79 to the corner of Fitzroy St and Ryrie St. It is about a 10 minute walk from there to the start of the walk. There are a number of bus routes that pass quite near Eastern Park including routes 55, 79, 45 and 46. The entrance, with one of the most unusual trees around, marks the beginning of the walk. Lots of open park land along the way, dotted with trees. A great natural playground. 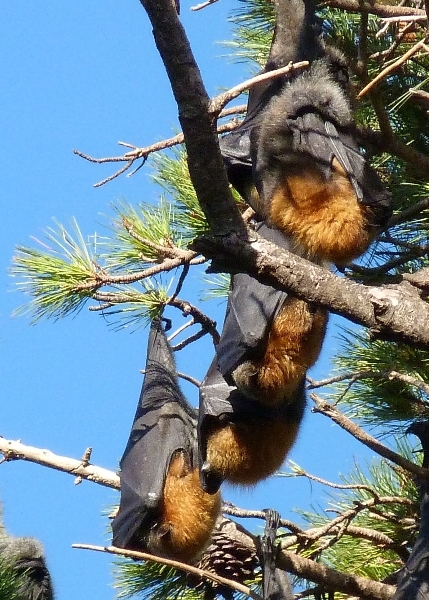 Flying foxes travel up to 50km a night to feed on pollen, nectar and fruit. They fulfil a very important ecological role by dispersing the pollen and seeds of a wide range of Australian plants. The park trees come in all shapes and sizes. It provides a great opportunity to test your tree naming skills. As you turn the corner here, the beautiful bay opens up on your right. Looking out across the bay you can marvel at how much has changed as the city developed. A play space for all, allowing physical and explorative play and a sense of wonder within a culturally sensitive environment. There are 20 significant landscape areas or features to find and explore. 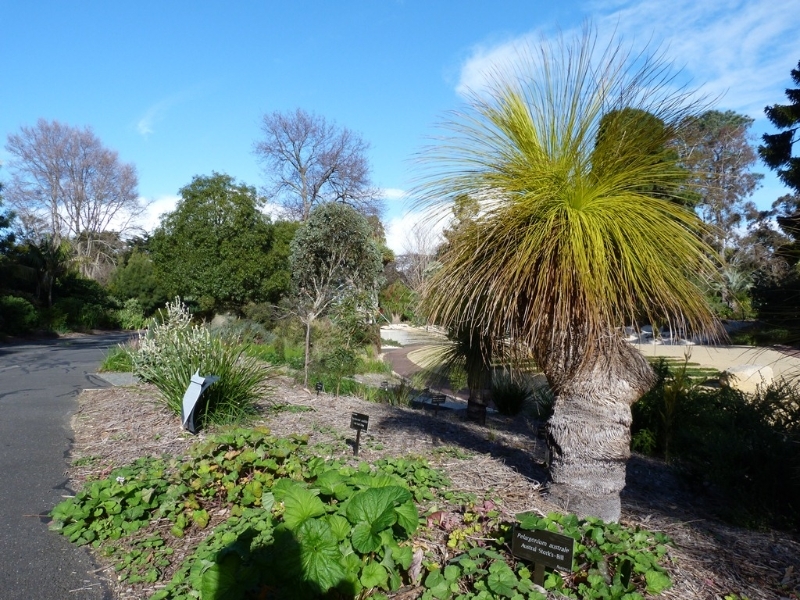 The gardens were renovated in 2002, with a new section for arid-climate and local native plants opened. It features a dramatic entrance combining architectural plants with modern garden sculptures. 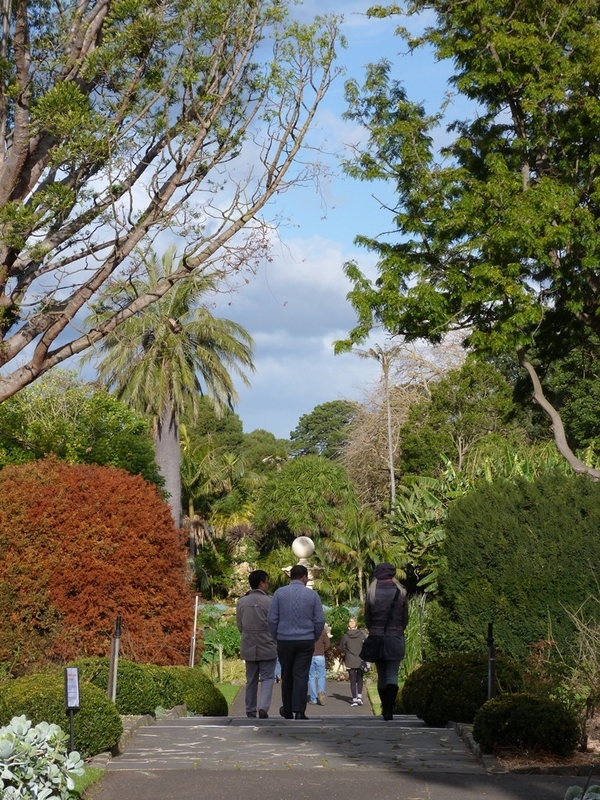 Free guided walk in the gardens are offered by the Friends of Geelong Botanic Gardens on Wednesdays and most Sundays at 2pm, weather permitting. For more information visit http://friendsgbg.org.au/. In 1851 the Government had the foresight to set land aside at the edge of the Geelong settlement for the development of a Botanic Garden. The grounds can now be enjoyed throughout the year. 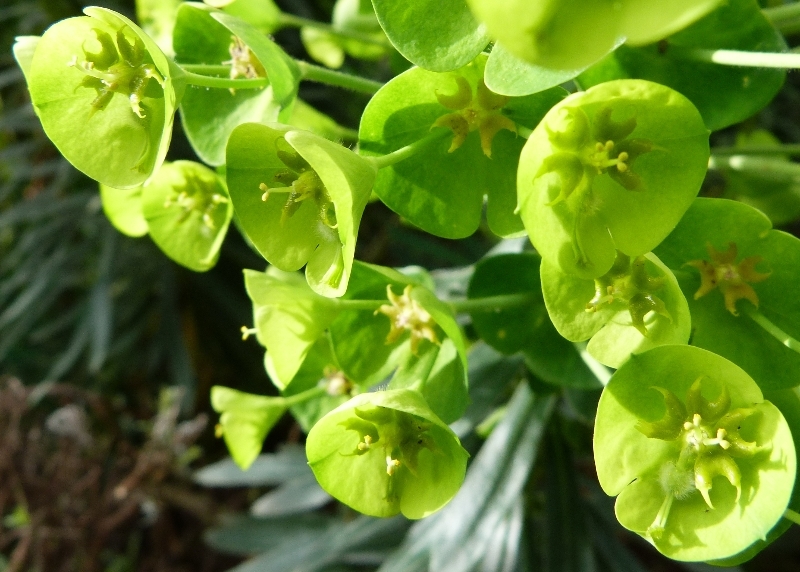 The gardens are full of fascinating plants with unusual shapes, textures and colours. There is a lovely tea house in the Botanic Gardens which is open from 11am to 4pm.